These are some of our dogs... If you are interested in having a beautiful German Shepherd as part of your family, you have come to the right place. 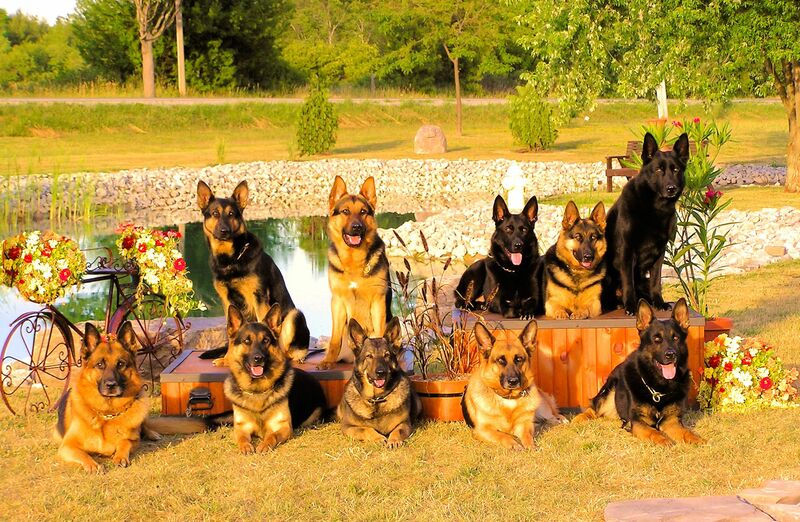 Our German Shepherds are all from 100% Top European Lines. We now have our GSD's in 8 countries around the world. Come and join the Team of LUCESCU German Shepherd Dogs. Meet Lenny, a pup that was bred and trained by us before going to his home at 8 months old. Getting Lenny trained was a wonderful experience for his family. Find out more about our Trained Puppy Program, and the other training programs we offer with our puppies. Our newest German Shepherd puppies have arrived. Make sure you visit our site regularly for updates on our upcoming litters. Find out everyting you need to know about the breeding parents, grand-parents and maybe great grand-parents of these puppies. Training dogs is our speciality If you're looking for the right training for your K9 family member or want to enter into a spectacular competition, we can help. Talk to us about a customized development program for your dog. WE HAVE PUPPIES AVAILABLE NOW! Please check the PUPPIES PAGE..
German Shepherds Puppies for Sale: Young Puppies; Older Puppies (Partially Trained) and occasionally we have trained Young Adults. We make appointments for our puppies and to show breeding dogs, puppies(when not in isolation) and talk about our dogs, Please contact us for an appointment. 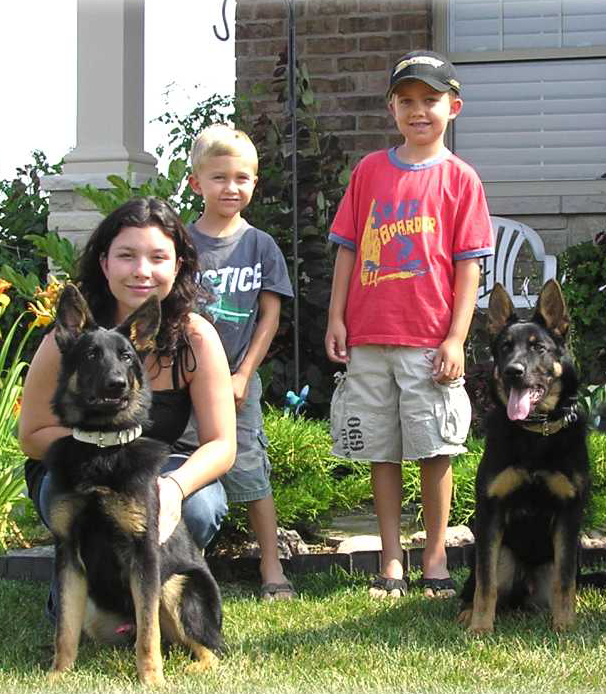 We are Ontario German Shepherd Dog Breeders, registered by the Canadian Kennel Club, and follow strict health testing and work testing on all of our breeding dogs. Our breeding stock is 100% European stock, from the top producing and working lines in the world. Our breeding dogs come from Germany, Sweden, Austria, Belgium, Slovak and Czech Republic. Training: for FAMILY, POLICE and SPORT- Obedience for Family Companions, Obedience for high level sport or Competition, Tracking and Protection, Trick Training, Better Relationship games, High Competition, etc. Our training times are Mondays, Tuesdays and Wednesdays. Please contact us for more details. We do not do classes with multiple dogs in each class, all training is done one-on-one and is tailored to the individual needs of each owner and dog. We are located in Niagara Region of Ontario and do some training here, but we also go into town, to our clients homes and just about anywhere we need to train our clients dogs or puppies. Our German Shepherd Dogs and puppies are all from 100% of the Best European Lines for work, versatility and soundness. All of our dogs enjoy a very well-rounded, full life at our home in Fenwick, Ontario which is located in the Niagara Peninsula (near Niagara Falls, Canada). Go to CONTACT US page to see the map. We own, train and live with ALL of our breeding dogs that are used in our breeding program so we know first hand of exactly what type of dog they are. We DO NOT have our breeding dogs living elsewhere with other people. Nerves and stability is high on our list. This enables us to know exactly what we are breeding and what to expect in our puppies and who to breed who to, so we can improve each generation. We are now producing our 4th & 5th generation with some of our lines of German Shepherd Dog's with excellent results in our puppies. Health and temperament are never a question with our breeding dogs as we have zero tolerance for this, but our next main focus is their working/training ability as well as their breeding potential. We compete with our German Shepherds to high levels in the extreme sport of Schutzhund (IGP) and have a couple that we use as demonstration dogs for police departments so their training is focused in that aspect. We have had increasing success with our dogs in both Competition and Police Work. Of course, many of our dogs enjoy a great family life as well as becoming true companions. Unfortunately these dogs are never tested and receive certification which sometimes means their success goes without notice from the general public. All of our Breeding Dogs (plus many, many puppies) have been proven to very high standards for many years now, which we believe is imperative for the betterment of the breed. A well rounded dog is truly a VERSATILE animal which is what Max von Stephanitz intended, when he created the German Shepherd Dog some 100 years ago. Our puppies are known for their ability to blend into the environment in which they are raised and live. When raised properly, you can truly do anything with them, making them ideal for many different types of homes. The old saying goes "GSD's may not be best at any one task, but they are second best at everything" which makes them the most versatile breed used for so many purposes. Offering the best in Quality for the breed. We strive to produce the best Temperament, Health and Train-ability - while keeping Conformation in mind. The German Shepherd Dog - "A Dog without Peers"
The German Shepherd Dog (also known in Britain as the Alsatian) is valued around the world as a Sentry, Police Dog, Tracker, Detection Dog, Search and Rescue Dog, Guide Dog for the blind, Competition Dog and the ever so loving "family companion". A German farm dog whose type was stabilized in the 1890's by a German officer, Rittmeister (Cavalry Captain) Max Emil Friedrich von Stephanitz. 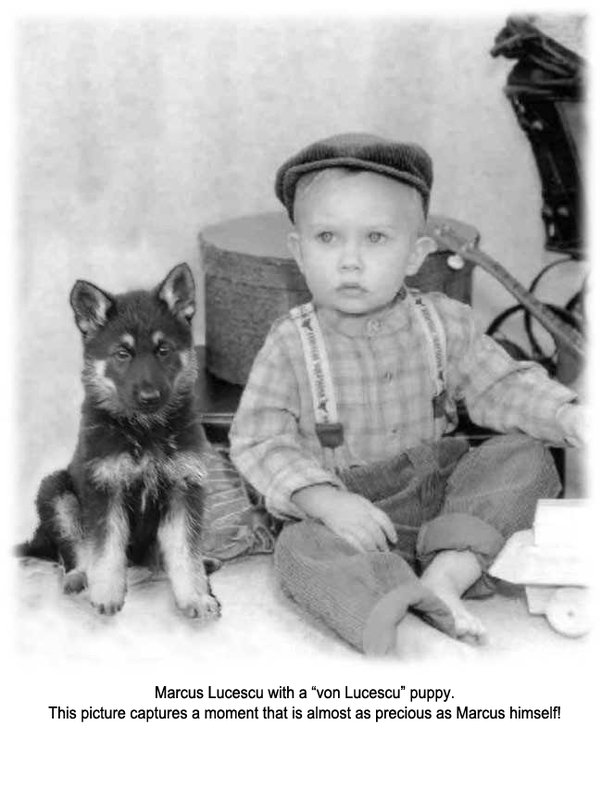 He dedicated his life to this breed by taking a little known native herding breed out of obscurity, and proclaiming it onto the world stage of recognition as "a dog without peers". 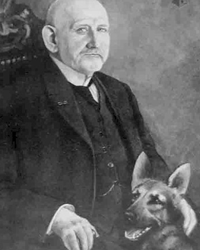 In doing so, he rightfully earned and deserved the title "The Father of the Breed" and in 1899 became the first president of the SV, known to us as the German Shepherd Club of Germany. The breed was first imported into this continent early in the 1900's and got its biggest boost in popularity after the close of World War I, because of the screen exploits of Rin Tin Tin. Learn more. Your dog(s) should compliment your life... not control it. Whether your dog needs to learn to deal with the every day stresses of life, or you want to go into the highest level of training, we can teach you the proper foundation of communicating with your dog that will last a lifetime. Your reward will be balance and harmony with your K-9 companion. Whether it's getting started with a new dog, advanced training, behavioural problems, high level competition, or service dogs, we can help you reach your goals. All training is done one-on-one to focus on your individual needs. We do not do classes. The age of your dog is not in question... "you can teach an old dog- new tricks."